In the DreamHack Atlanta recap, we revealed the overall schedule for NA HCS Pro League, but today we’re going to uncover the exciting matchups for each day, and highlight a few that you won’t want to miss. 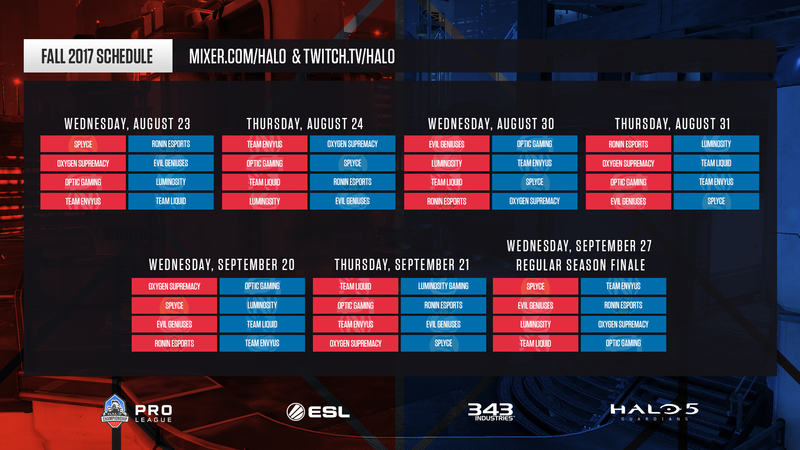 Like last season, matches will kick off at 4:30PM PT on Mixer.com/Halo and Twitch.tv/Halo. With the format change in Europe moving from separate Pro League and Open Circuit leagues to just one united format, the playing field and scene will go through a reset where new teams will form and rise to the top. Because of this, we thought it was best to reexamine the format for DreamHack Denver, especially around automatic entry into the Championship Bracket. Overall, we also want a simpler format that makes it easier for players and viewers to follow not just during the weekend, but all season long as well. For the last 12 months and beyond, the top European teams have been putting up an impressive fight against the Top 8 North American teams, with the most notable teams being FabE and Epsilon, who have achieved the highest international placings we’ve seen on NA soil. While the most recent performance at DreamHack Atlanta saw European teams fall out of this spot, we felt this placement in the championship bracket was indicative of their performance over a longer period of time. Additionally, with the season championship on the line for both regions, we felt it was important that both regions received placement in championship bracket, and NA Pro League teams will be seeded above the two qualified European teams. We can’t wait to see them battle it out once more. You may have noticed that there will be no relegation this season. We’re excited to share more on what’s to come in terms of format in the coming months as we gear up for another exciting year of Halo esports in 2018. Open bracket seeds three and on will be determined by HCS points earned during the season. While Open Circuit details are still on the way, we’ve heard from Open Circuit players that DreamHack Atlanta’s open bracket had too many teams seeded randomly due to not having any HCS points. DreamHack Atlanta saw a record number of teams in attendance, and a substantial amount of the teams were formed in the final weeks and days before the tournament. 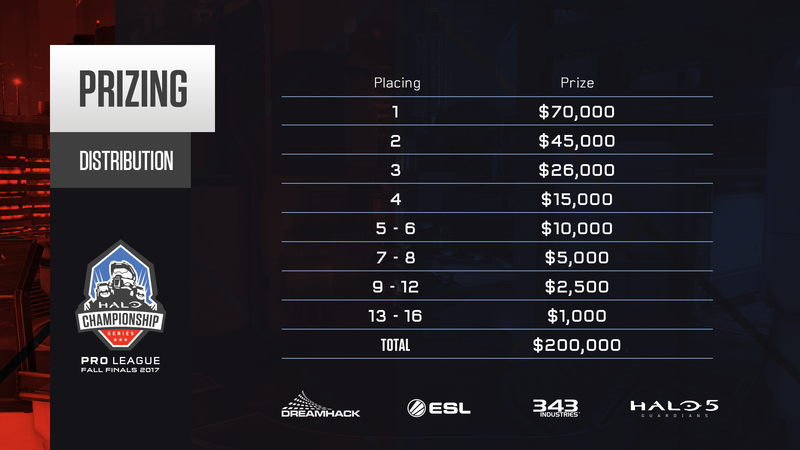 For the Fall season, we’re looking to offer a chance at HCS points closer to DreamHack Denver in order to reduce the amount of teams given a random seed due to not having seeding points. More details for HCS Open Circuit are right around the corner. You’ve seen the incredible finishes, memorable moments, and dominant performances online – now be part of it as the action unfolds live and in-person! For all details on registration, spectator passes, travel, and more, head over to the official DreamHack Denver Event Hub.